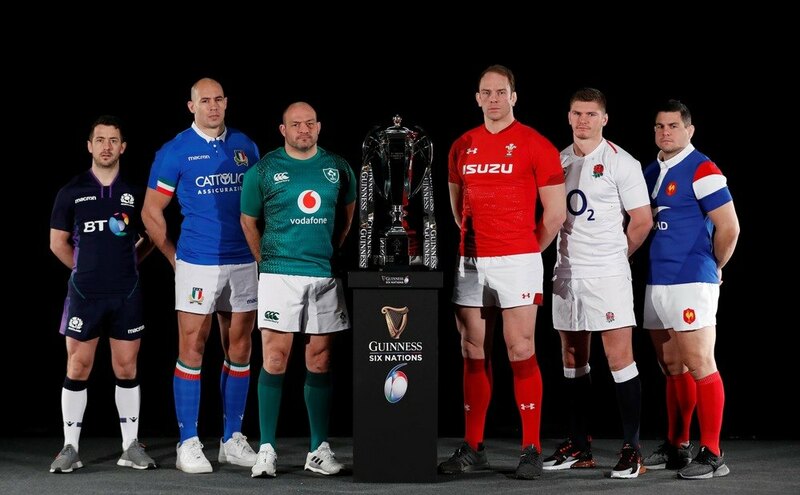 Six Nations predictions for the 2019 outright markets including free betting tips for the outright winner and top tryscorer. Read on to view our outright best bets. The rugby year 2018 was a rhapsody in green as Ireland kicked off with a Six Nations Grand Slam, conquered Australia in the summer and rounded things off with victory over the world champion All Blacks. They are odds-on to repeat their Six Nations success, but that is just the point – they have to do it all again. It’s not a case of waiting to see if any other team can catch them, the clock is reset at zero and the Irish, like all their northern hemisphere rivals, know it’s a long hard slog to the middle of March. Five matches, every one a potential pitfall, is the course they must navigate, starting with second-favourites England at home in Dublin on Saturday. Can Ireland retain their crown? Of course – their phenomenal performances and successes over the last 12 months make them the team to beat. But are they odds-on shots? Tournament history and a sense of the challenges it sets every year suggest no team can ever be that sure. What has set Ireland apart is the precision of their performances, their accurate set-piece and kicking game, ruthless breakdown work and the movement of their backline. It’s a recipe that requires a thoughtful and meticulous coach – which they have in Joe Schmidt – and also the players to get it right every time, under pressure and in the unique atmosphere that the Six Nations brings. That pressure is ramped up this year as everyone wants to have a shot at the champions, and while there’s no reason why Ireland can’t pull it off, there’s little desire to take short odds about them doing so. If Ireland are opposable, who are the likeliest challengers? Well, second-favourites England have the benefit of three home games, against Scotland and Italy, neither of whom have won at Twickenham since the the Five Nations became Six in 2000, and France, who have at least one won of their nine showdowns. But England’s two away matches are against the other two teams at the top of the betting, starting with Ireland on Saturday, and Eddie Jones’s men don’t look settled enough to get off to a winning start, while they visit Cardiff in round three for Wales’s first home game, always a huge occasion. And it is the Welsh who look the best value to claim their first crown since 2013 in head coach Warren Gatland’s final campaign. An opening encounter against France is a challenging start, but Wales have won six of their last seven clashes with Les Bleus including two of the last three in Paris, and for once they go into the tournament buoyed by an autumn clean sweep and with nine straight Test victories under their belts. This has always been a tight fixture but even with injuries in the camp Wales look better equipped to get into their stride than a reshuffled French line-up. Then it’s Italy away before home encounters with title rivals England and Ireland and Wales, who have a habit of growing into the tournament, should start getting some sidelined players back and fresh to go. Scotland away completes the Wales fixture list and the Scots will no doubt have a say in the title’s destination, although matching last season’s three wins will not be easy. They open up at home to Italy but must play France and England away knowing they have never won either fixture in the Six Nations era, and while they enjoy home comforts against Wales and Ireland, both teams suffered painful defeats at Murrayfield two years ago and are sure to go all-in. Scotland could well struggle in both those matches and one victory may be all Gregor Townsend’s men have to celebrate at the end. France are a similar price to Scotland in the outright betting but face three away matches and a record of two road wins in their last ten – both over Italy – doesn’t bode well. Italy have not won a Six Nations match in the last three seasons and it’s just 1-4 that they suffer a similar winless fate. There are plenty of exciting back-three players crowded at the head of the top try scorer market, but given England’s kind home schedule, Red Rose winger Jonny May looks the pick of the prices. His pace and finishing prowess make him a regular first-choice starter and his eight tries in all competitions made him England’s top try scorer last year. Type of Bet: Tournament Preview. Sports: Rugby.